On March 2019 Prof. Mario Lanza is appointed as Associate Editor of the journal Microelectronic Engineering (Elsevier). Prof. Lanza will take care of submissions in the field of two-dimensional materials, dielectric breakdown and resistive switching, memristors for information storage and neuromorphics, and conductive atomic force microscopy. 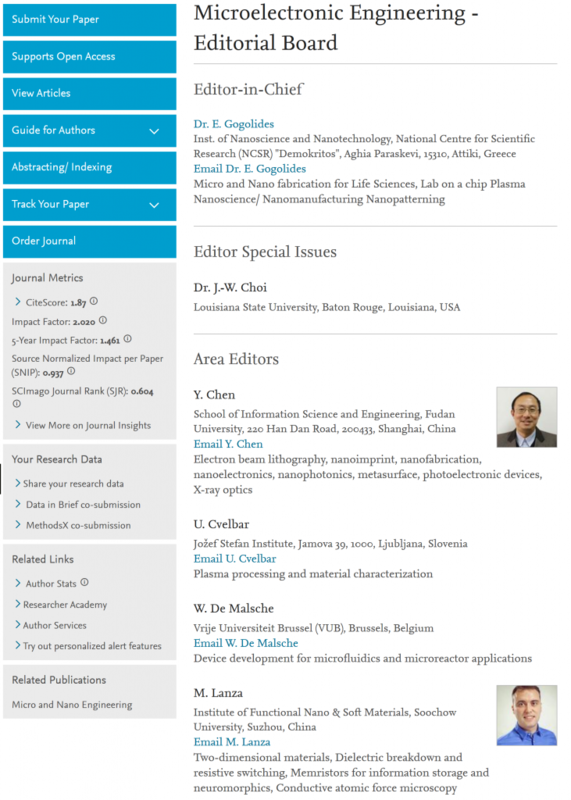 The complete list of board members can be found here: https://www.journals.elsevier.com/microelectronic-engineering/editorial-board. Congratulations to Prof. Lanza !